It’s always important for entrepreneurs to regularly analyze their business’s processes to ensure that they are up-to-date and still effective. If you’ve done that and have discovered that your financial processes are indeed obsolete and no longer efficient, it’s time for a change. If you haven’t thought about it yet, perhaps now is a good time to implement a fully-integrated enterprise resource planning (ERP) system to make these financial processes much more effective and modernized. Here are 3 signs that it’s time for an upgrade. Not all ERP systems are created equal. Many are simply not user-friendly, and can even cause some ruffled feathers among behind-the-scenes team members. Make sure that your ERP system is one that is easily implemented and simple to understand and learn. If not, an upgrade is warranted. These days, it’s more important than ever before to have an ERP system that’s portable and mobile. After all, employees and executives alike are most likely traveling abroad quite often as our world becomes smaller and more globalized by the day. Having a mobile ERP system will allow your team to be more productive, and can harness the business relationships you’ve fostered with partners from abroad. If your current system is not mobile, it’s time to upgrade to a system that is. Can your present ERP system adjust to the changing times? Can it be scaled as your business grows, expands or changes? If not, it is high time for a change. Ideally, you want an ERP system that is scalable to allow your business to grow without having to continuously replace your system every time a change is made. The system should be able to boost its capabilities in the future as the need arises. This will not only help you save money, but it will also help save time and frustration in having to make a total overhaul every so often. Choosing an ERP system for your business entails keen attention to detail and an understanding of your business’s goals. 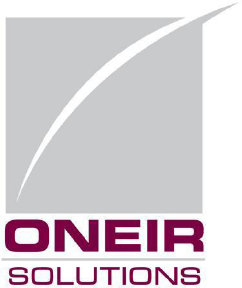 If any of the above scenarios is plaguing your current system, consider upgrading to one through Oneir Solutions Inc. Visit our www.OneirSolutions.com today to find out what solutions we have to offer that would make a perfect fit for your business’s processes!